published by Rowman and Littlefield and available in all book retail stores. 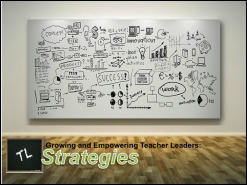 Simple strategies to grow and empower teacher leaders are posted weekly. Each strategy is stored and can be accessed by clicking the link below. If you have a strategy about teacher leadership that you would like to share, please email to k12teacherleadership@gmail.com. Please make sure to include information for proper citations, if applicable. 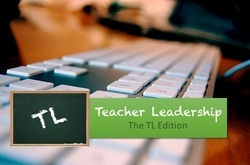 The Weekly TL Edition is posted on Friday each week and offers an in-depth look at teacher leadership in schools. The purpose is to offer insights into teacher leadership that will help school administrators, practicing or prospective teacher leaders, teachers and other stakeholders to understand, grow and empower teacher leadership in schools. The Thought of the Week is posted every Wednesday and offers a simple thought regarding Teacher Leadership. Each week's "Thought of the Week" is stored and can be accessed by clicking the link below. If you have a thought about teacher leadership that you would like to share, please email to k12teacherleadership@gmail.com. Please make sure to include information for proper citations, if applicable. The demands of the 21st Century K-12 educational provides opportunities for a new form of leadership to emerge and developed in schools. Though teacher leadership has been present in our schools for decades, schools now see the benefits of effective teacher leadership and are looking for strategies to empower more teachers to step into leadership roles. It is with this new interest and emphasis on teacher leadership that this website, full of resources, is created to provide: Resources for Understanding, Growing and Empowering Teacher Leadership. The ultimate goal is to create high-performing schools through effective teacher leadership. The website is divided into different sections depending on the needs and interests of those seeking Teacher Leadership resources. Each tab will contain information about the processes involved and the resources that are available to grow Teacher Leadership capacity. No matter where you are in your current phase of leadership development with your teachers, we are confident you will find the resources you need. For example, if you already have identified Teacher Leaders in your school but need information about adding new Teacher Leaders to your team, the Recruitment tab should be helpful. If you are looking for ways to expand the capacity of your Teacher Leaders, the Foster tab will provide you with excellent resources to advance the skills your Teacher Leaders currently possess. If you want to drill down into the nuts and bolts of Teacher Leadership, the Standards link will provide you with seven domains and numerous functions the Teacher Leadership Exploratory Consortium has determined to be vital in regards to the knowledge, skills, and competencies that teachers need to assume leadership roles in their schools, districts, and the profession. All rights reserved. Information from this excerpt may not be reproduced or used in any manner whatsoever without the express written permission from K12TeacherLeadership.